"Red Wings Ready for Take Off" won Best of Show, Best of Class and a merit at the Professional Photographers of Los Angeles County with a score of 92 out of 100. This shot was taken in Cape May, New Jersey. 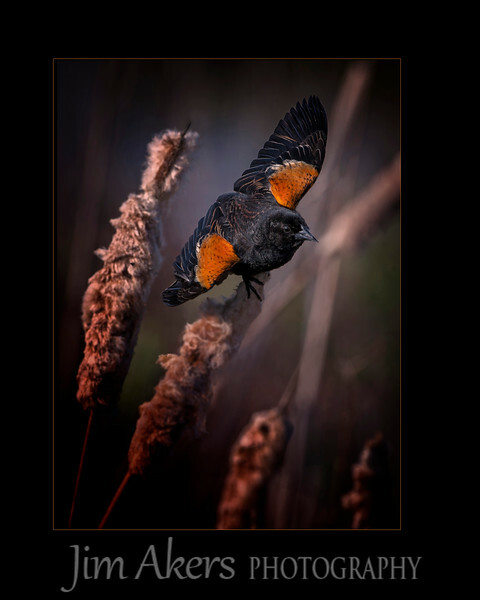 A shot like this takes patience, anticipation and observing the movements of this Red Wing Black Bird. Yes it was a windy day too.